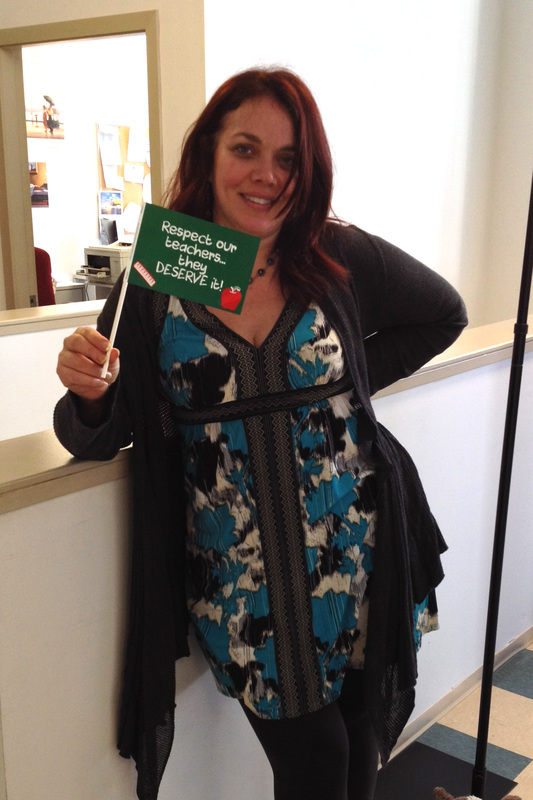 4″ x 6″ Paper Stick Flags – Suggested donation: $.25 each ($250 per box). 8.5″ x 11″ Posters – Suggested donation: Whatever you want. We just want to see them out there. 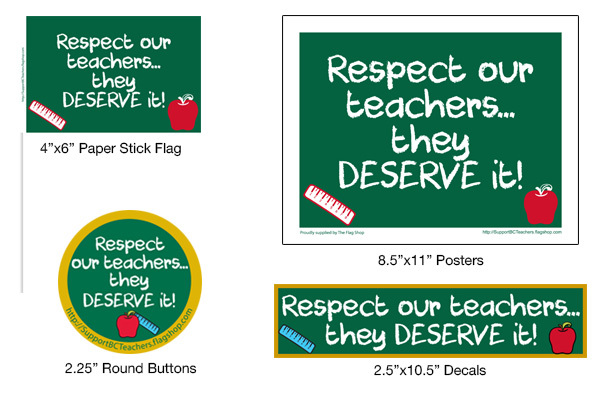 2.25″ Round Buttons – Suggested donation: $.25. 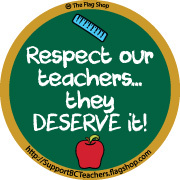 Price: The discounted prices are FOR teachers or the official organizers supporting teachers. 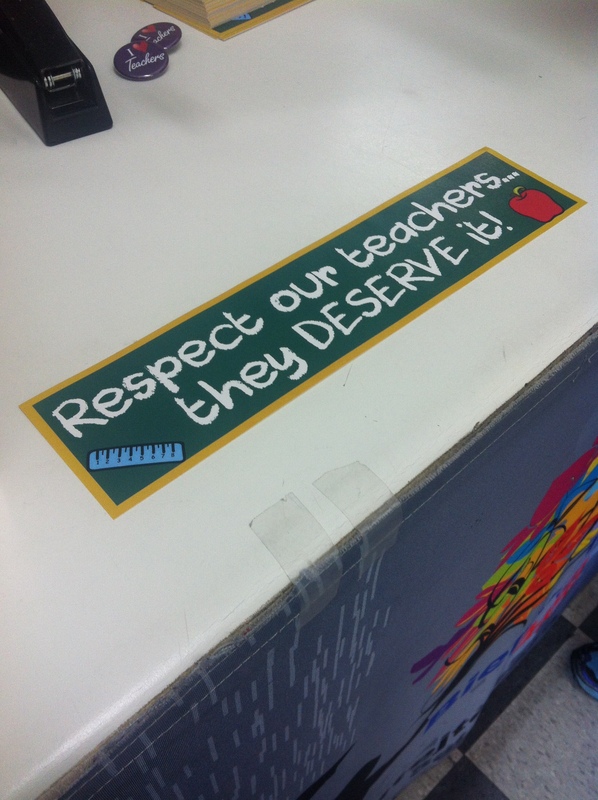 Anyone in the public who wants to support the teachers will receive a 25% discount off the regular prices below. Our Vancouver store is at 1615 Powell Street, and we are open Monday through Friday from 8 a.m. to 4:30 p.m. and Saturdays from 10 a.m. to 4 p.m. Please send us photos of all of these items in action! We’d appreciate it. Paper flags just got here! And by paper flags, we mean just the paper. 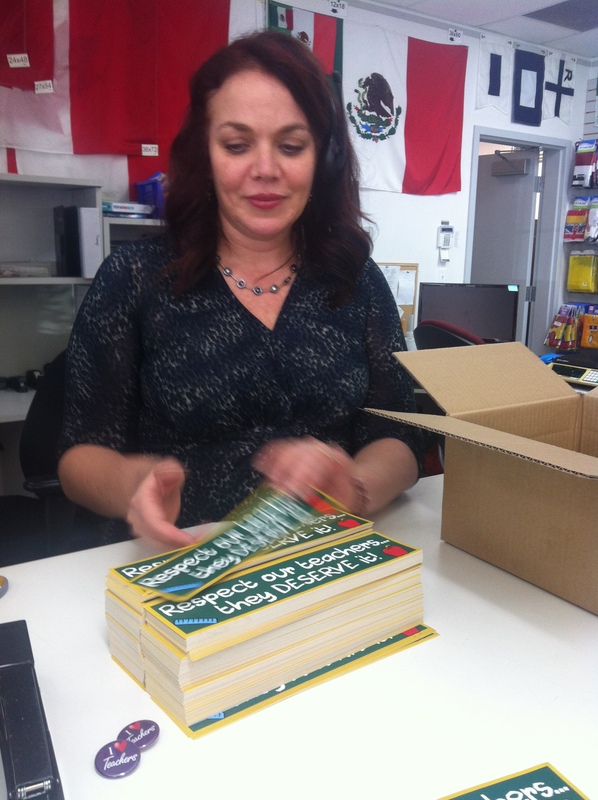 Now comes the labour intensive part where we hand staple all of them to the sticks. We invite you to come pick them up in our store (1615 Powell Street) on Saturday afternoon and distribute them at the rallies at the Vancouver Art Gallery (Sunday morning 10 a.m.) and Holland Park in Surrey (Sunday evening 5 p.m.). 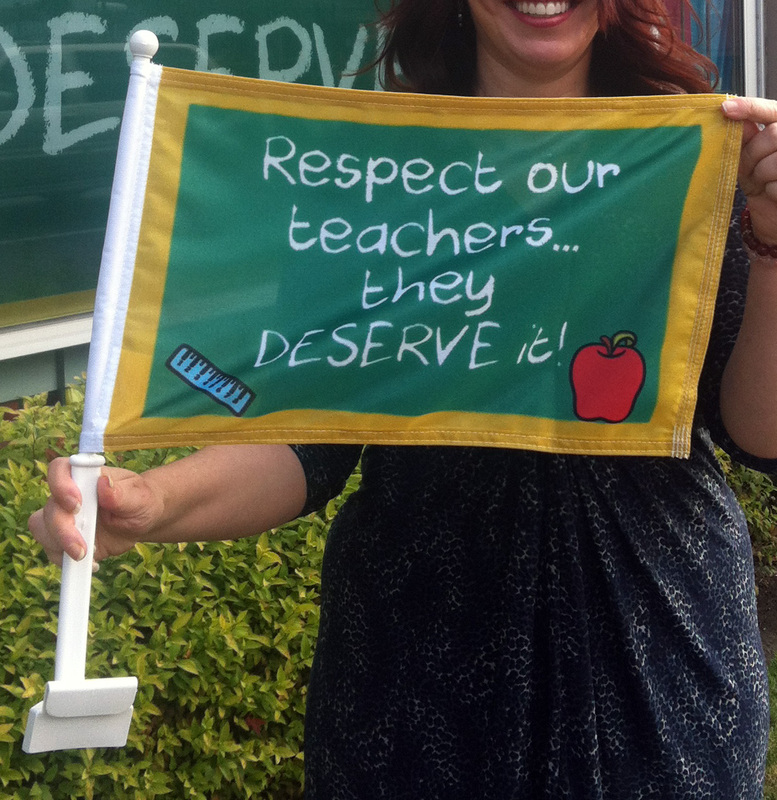 The paper flags are FREE to take to rallies, protests, and picket lines. If for some reason they are not all distributed, you can bring them back to us so we can keep giving them out. Or if people start tossing them, they can be collected and brought back. We’ll recycle the ones in rough shape. Some people have given us donations for the free items to help us cover costs which we definitely appreciate and only use to keep making more items. These are not expected, just appreciated and we wanted to acknowledge that. The 8.5″x11″ posters are available now. Everyone has been very cooperative and reasonable with what they take so far, and we really appreciate it! Thanks for letting us help fight this battle. See the most recent post here. 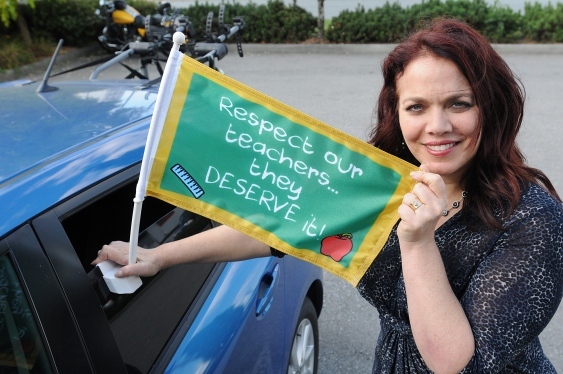 Read Susan’s interview with Cheryl Rossi about The Flag Shop’s involvement in supporting the BC teachers on strike. We are putting our art files out in the wild for anyone to download and print. The demand we have had is going to widely outstripped our supply so we feel this was one way to keep giving and allow others to keep showing their support! These are released under the Creative Commons license which means you can use them as you see fit or even modify them, we only ask you that you leave our name on there. We’re just finishing these up! As Susan said, she gets the first one. 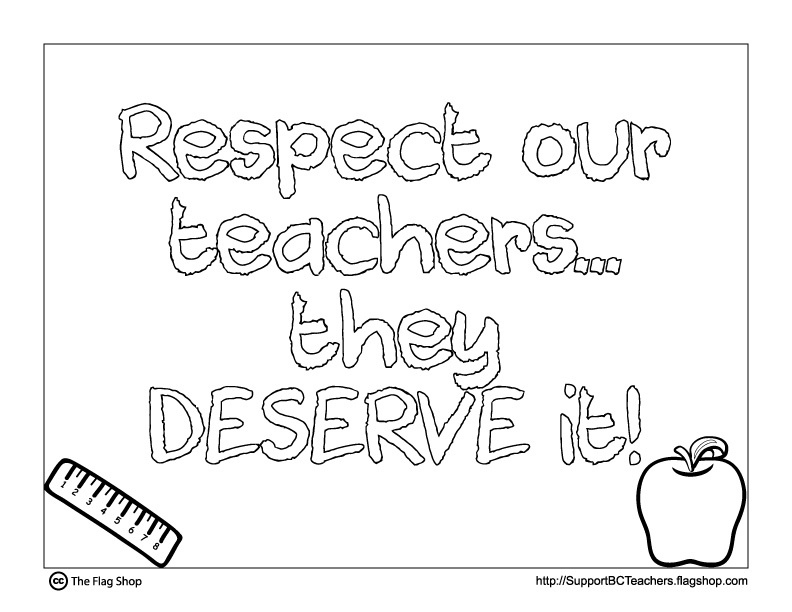 The price is $20.00 each for the public and $10.00 each for teachers. For simplicity, both these prices include taxes. 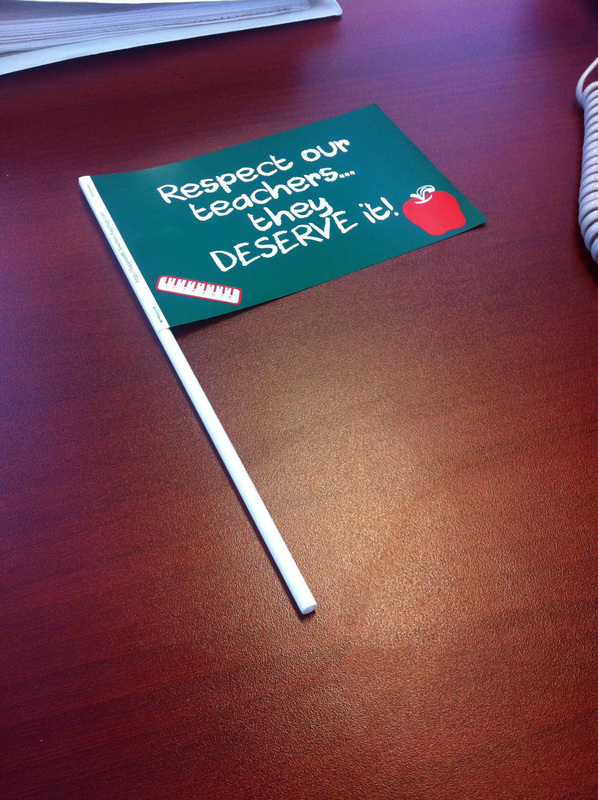 We will need the “honour” system for the “public/teacher” prices because these cost us $15.00 each to make. 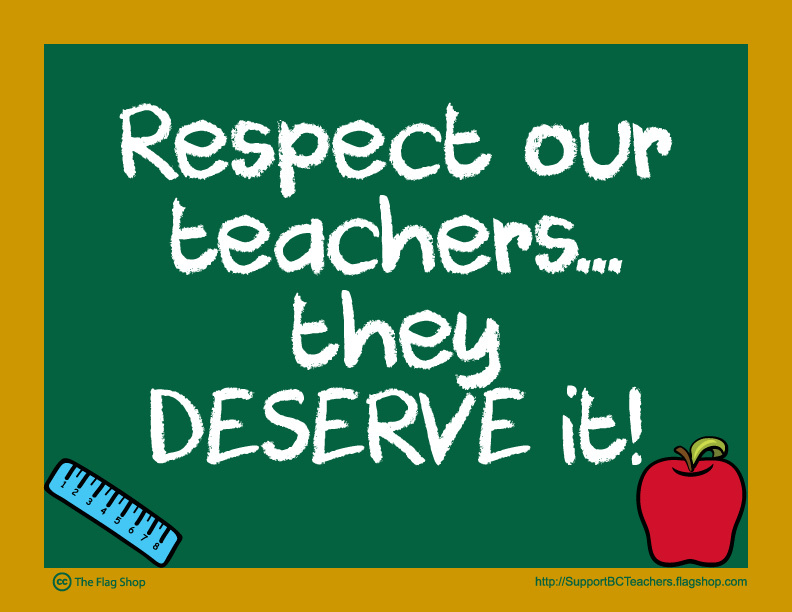 The more that the public buys, the more we can make for teachers. Right now, these are only available in The Flag Shop Vancouver at 1615 Powell Street. You can come by to order, or you can call us at (604) 736-8161 (toll free 1-800-663-8681) to order. 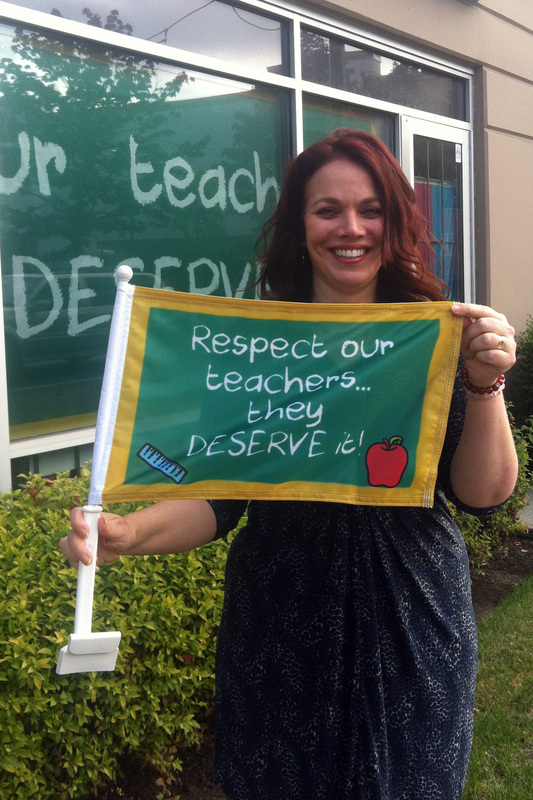 We are publicly throwing our support behind BC’s public school teachers who are currently on strike. We are very busy trying to get this organized, but those of you in BC can join our Facebook group set up for organizing the campaign here. We are also posting updates to our twitter account and our main Facebook page. We will have a press release as well as other materials soon. Catch Susan on CBC’s Early Edition tomorrow at 7:20 a.m. on 88.1 FM and 690 AM. 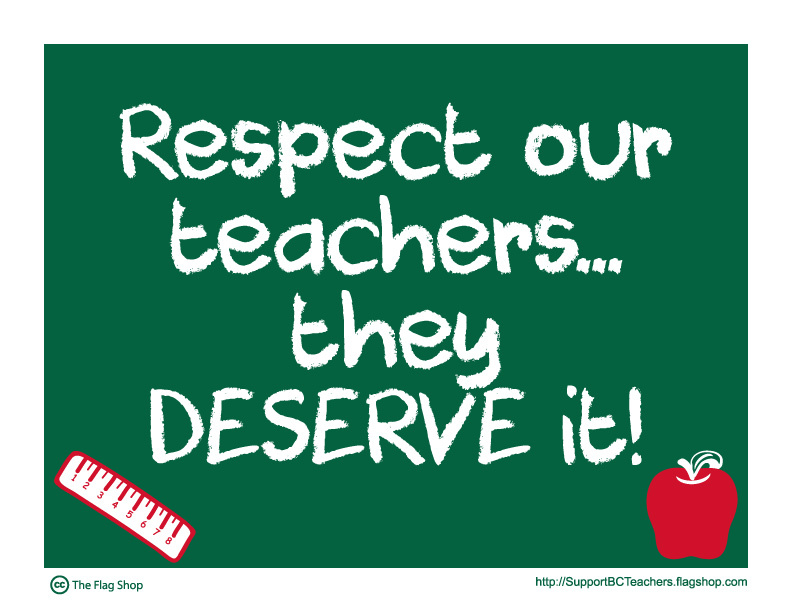 You are currently browsing the archives for the Support BC Teachers category.